Hazrat Khwaja Ala ul-Haq Ganj-e-Nabat Lahori Pandwi was a 13th Century Sufi saint, khalifa of the well-known Chishti saint Hazrat Akhi Siraj. He was a distinguished scholar and a member of the elite in the government of Shamsuddin Ilyas Shah, sultan of Bengal. He was well-known for his charity works and he attained a very high level of ma'rifat (knowledge of God). 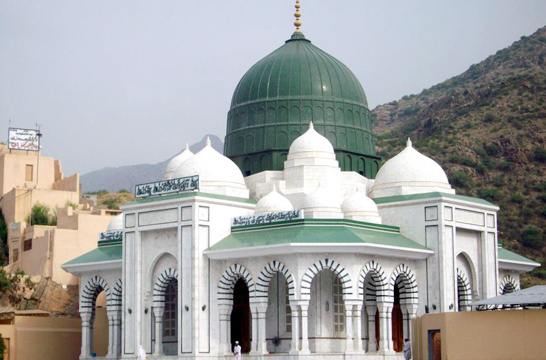 Hazrat Khwaja Ala ul-Haq's father, Hazrat Umar bin Asad Khalidi, traced his ancestry to the famous Arab general and companion of the Holy Prophet,Hazrat Khalid bin Walid. He was a citizen of the city of Lahore and after the establishment of Muslim rule in Bengal, he settled in Pandua, West Bengal becoming the royal treasurer, where his son Hazrat Ala ul-Haq was later born. After commencing his religious education and training in the esoteric sciences, Hazrat Ala ul-Haq became a distinguished scholar. Proud of his wealth and learning, he took the title of Ganj-e-Nabat (the master of wealth). 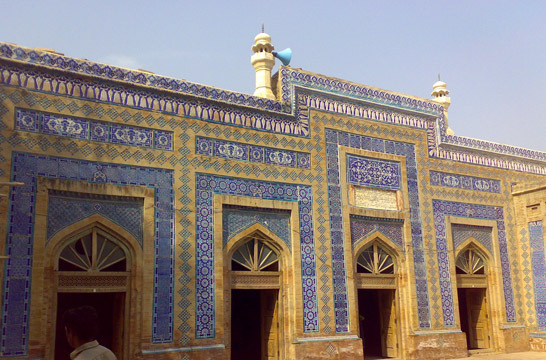 Hazrat Ala ul-Haq became extremely devoted to his sheikh, Hazrat Akhi Siraj, much to the surprise of his relatives, some of whom were high-ranking government officials. Such was his love and devotion to his master that when they travelled, like Hazrat Jalaluddin Tabrizi before him, he would carry a cauldron of hot food on his head even though it would burn his hair, so that he could provide him with warm food on demand. He later married one of the daughters of his sheikh. After the demise of his sheikh, he himself became a spiritual leader and maintained a khanqah in Pandua. Many students received training from him, two of most prominent being his son, Sheikh Noorul Haq, better known as Hazrat Noor Qutb-e-Alam and Hazrat Ashraf Jahangir Semnani. He passed away on 1 Rajab 800 AH / 20 March 1398 AD while according to a book kept in possession of the caretakers of the shrine, he passed away on 786 AH / 1384 AD.  It is related that Hazrat Makhdoom Jahanian Jahangasht, a famous Suhrawardi saint who had previously met Hazrat Ala al-Haq in Pandua, led his funeral prayer. He lies buried beside his son Shaikh Nur Qutb Alam in the Choti Dargah also known as the Shash Hazari Dargah in Pandua Sharif. The complex comprises of a mosque, a reservoir, tombs, a rest house and various other structures. His Urs is commemorated on the 23rd, 24th and 25th Rajab in Pandua Sharif.